The Lowell PTSA thanks Tristan S for taking these notes, and for giving permission for their distribution. "We have the foremost experts in the country helping us to avoid a suicide cluster." "We have a protocol in place that other school districts are looking to to use in their districts." What school is doing to help students manage and reduce stress? What are signs of suicide? Is there a suicide/mental health task force being formed (or is there one already in place)? 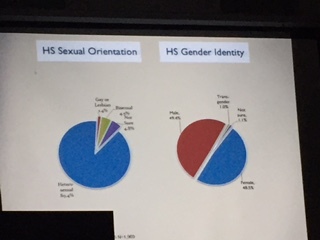 What is the link between students seeking help from the Wellness Center and families? 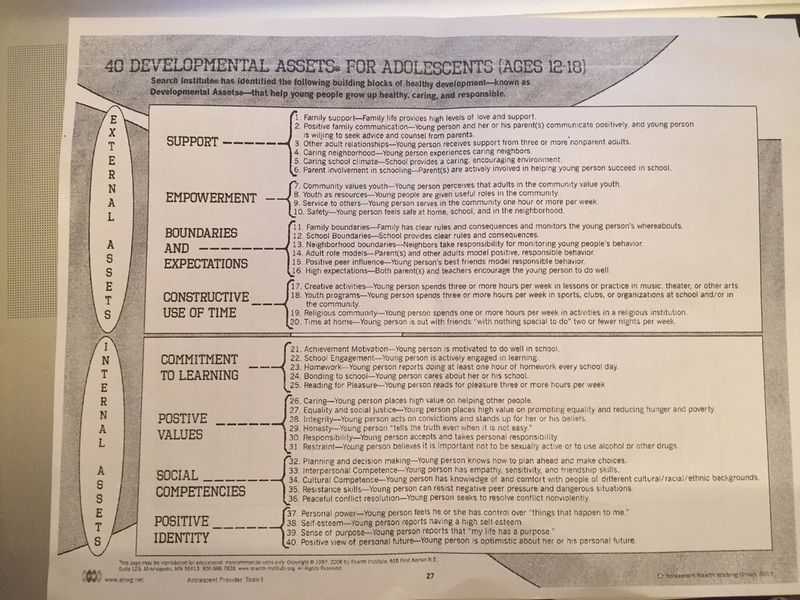 What are resources for students helping other students? Do students know where to take a friend for help? 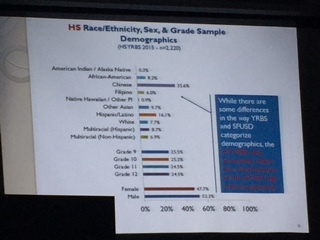 Information presented was taken from the High School Youth Risk Behavior Survey, which measures health risk behavior within a randomized sample of students in grades 9-12. It was administered to 2,220 of 2,670 students across 21 high schools, with a completion rate of 82%. It's best used as a health surveillance tool to identify health trends over time. It is the primary method of measuring adolescence health risk behaviors nationwide. 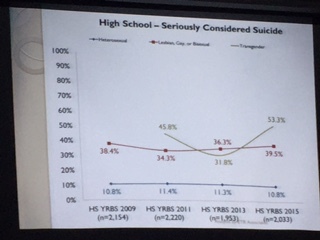 Suicidality is no different at Lowell than across the District; numbers are lower than across the nation. "Stress is stress is stress." Homework vs familial vs violence in neighborhood stressors affect kids similarly. 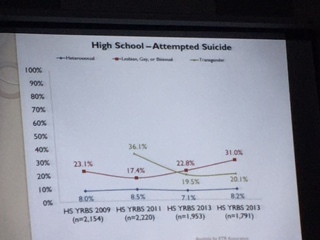 @30% of Lowell students accessed the Wellness Center every year, some just to talk, others for general counseling. All students are aware of the Wellness Center and the services offered. 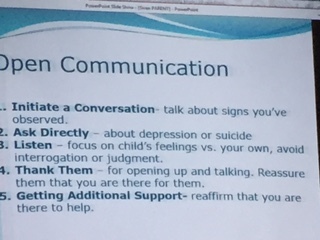 The school has a protocol for dealing with the crisis of a student suicide. The day the school received the news, they immediately brought in three extra grief counselors and the principal from [the Student’s middle school]*. The Lowell students who were her friends were told before the rest of the students were informed and were attended to by a grief counselor. The school counselors have been checking in with them in the weeks since. The grief counselors also worked with the teachers, to let them know how best to break the news and how to facilitate the discussion. They were told to allow the kids to show their emotions and to direct any of their questions about how/why/when/where back to how they were feeling and dealing with the news. They suggested that parents should do the same when talking with their children. The grief counselors also met with the Student’s friends and student leaders to discuss how they could honor the Student’s memory at the school. This is an ongoing conversation. The Mental Health First Aid Training, an all day crash course about mental health and how to support friends, was a great success and trained 41 students. The PTSA funded it. The school plans to repeat it for students and teachers. "We kept reminding the students: You are not a therapist. You're just learning signs to look for and when a friend needs help you should go to the Wellness Center, go to an adult, get adult help." Students can self-refer. A parent, teacher, or friend can also ask the Wellness staff to look in on a student; the Wellness staff would then check in on student and let them know about their services and invite them to take advantage of the services. it is voluntary, up to the student to do so or not. All services are confidential, unless the counselor believes a student is going to harm themselves or someone else. 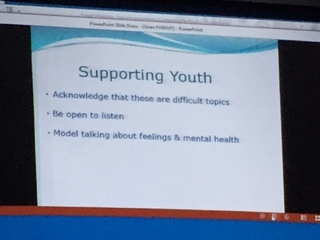 Part of the Wellness Initiative is to have mental health support at schools, because it is more likely for a student to access mental health services when it is on site and the student has gotten to know the staff and feels comfortable there. ​​​"Let your child know when you're feeling down or upset and show them how you deal with it and move past those feelings." 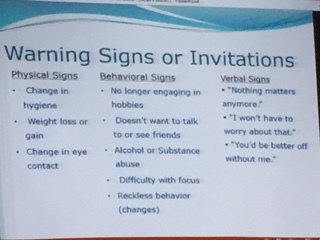 See warning signs of emotional distress as invitations to talk to your child. "There's always a reason behind the signs -- use it as a conversation starter." ​Ask about changes you see ("I'm worried you might be depressed or that you don't care about things anymore"); be forthright ("Do you feel depressed? Have you ever thought of suicide? ")You're not putting suicide in their head--that's not how it works. Listen to your child; don't try to fix things. But seek support. You and your child are not alone! Take advantage of the resources available to you! Suggestion from parent: "Would you consider doing a workshop like this at the beginning of the school year?' Answer: Possibly; talk to the PTSA; they're working on a series of parent workshops. Question from parent: "Is there any way to change the start time so our kids can get enough sleep? It's unrealistic to think they can get enough sleep when they have to be at school at 7:35." Answer: Too long and involved but basically "no." Question from parent: "Are teachers trained to be observers/to recognize signs?" Ms. Giles said that all teachers are mandatory reporters, meaning they are legally obligated to report suspicions regarding child abuse or self-harm, but the teachers do not undergo special training. Question from several parents about homework and stress: "Is there a homework policy?" Answer: No, there is no homework policy. "Homework is not the reason a students takes their own life." Pushback from some parents, because stress from homework clearly can contribute to that decision, though perhaps not in this particular tragedy.